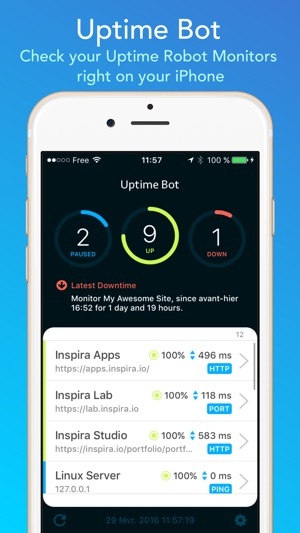 Uptime Bot is your Uptime Robot service companion, check your servers and websites monitors on the go right on your iPhone or iPad. 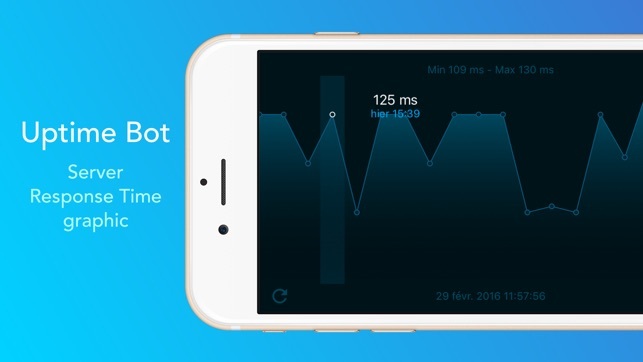 Uptime Bot displays precious information and a neat response times graph about the status of your servers (uptime, downtime, response times). 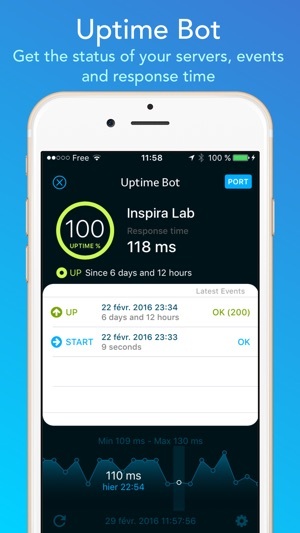 If you have not yet an account on Uptime Robot, you can create one for free and start monitor your servers on your iPhone or iPad with Uptime Bot. 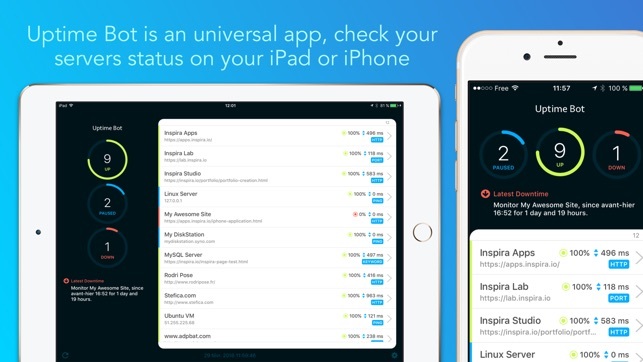 Important: Uptime Bot only loads up to 50 monitors, if you have more monitors on your account, they will not be visible in the application. You can send feedback on the dedicated website, and your comments and votes are very valuable.